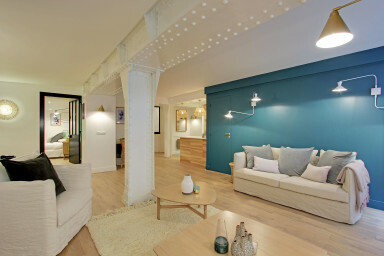 Glorious 110sqm boutique apartment entirely refurbished and designed by a renown architect. The apt has 2 bedrooms, 2 bathroom, and one separated toilet. In the heart of Paris on rue du Jour, this will be the place to be for a lasting memory!